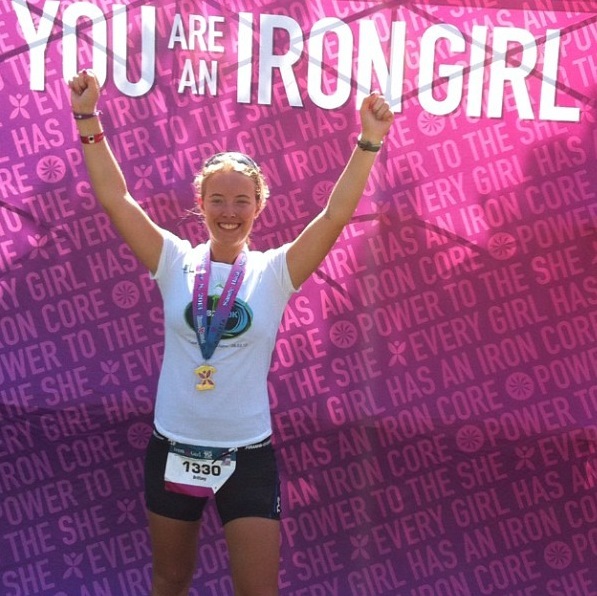 Iron Girl Sandy Hook: A Race Report Filled With Hard Swims, Fast Bikes, and a Lot of Fun! The following is a feature from YT Ambassador Brittany from NJ on her awesome finish this past weekend at the Iron Girl Sandy Hook triathlon! 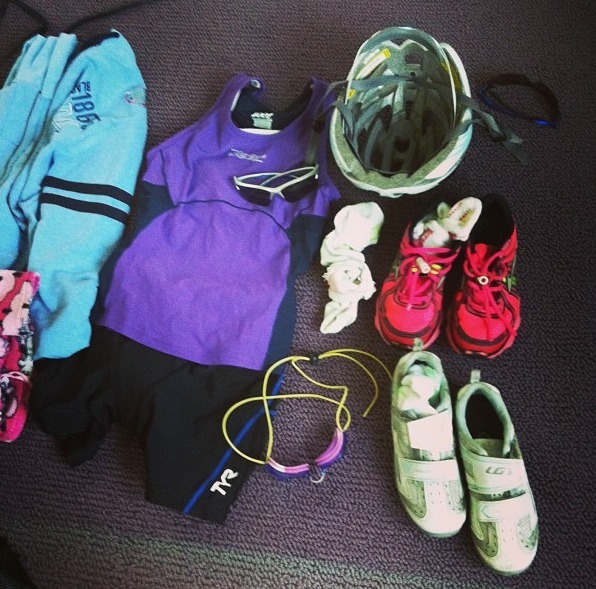 On Sunday the 8th of September, my dad and I woke up at 3:30am to drive to the Iron Girl Sandy Hook triathlon. Driving down, it was pitch black, and we could not yet see the beautiful scenery surrounding us that we would admire later in the day. After parking the car, there was about a one mile walk to the transition area. It was a chance to meet other competitors- some of which were about to embark on their first ever triathlon. They were really nervous as I was when doing my first race. It being my fourth race, I told them what to expect, and they definitely appreciated my guidance and support! At 6:45 I started walking to the swim start — about a 10 minute walk. The swim was in the ocean so I was super scared as I had never done an open water swim in the ocean before! Looking at the ages on peoples calves, I spotted some girls my age and introduced myself. It was so much fun to hang out with them before we were off! We had an in water start, and immediately after getting in, I felt the strong water currents. I tried to keep calm, and just do my own thing when the horn went off. Throughout the whole swim, I was really scared. There were really rough currents pulling everyone under the water and every which way. The waves were monstrous, and it was hard to sight each buoy. But after getting out of the water, I was within the main pack of my wave! I had no problem finding my bike in transition, and was quickly on my way to the bike course. I had a great bike leg. Averaging just under 20 mph, I finished in about 31:00. The course was absolutely beautiful. There were 1 or 2 rolling hills, but overall it was a flat course. I did not have a very fast run per se, but it was solid. I drank a lot of water during the run, which kept me hydrated on that hot day. I finished with a great time overall 395/1141!! I was so proud of myself. After they all came in, I met up with the new friends I had met earlier at the swim start. We went to the food tent and had yogurt and watermelon. We went and sat together at the awards ceremony area which was set to start in an hour. We cheered others coming in. My dad and grandfather came over and congratulated all of us. I met a woman who had done three Ironman races before and said that this was by far the hardest swim she’s ever done. Overall, it was a great race and an amazing day. We drove home, and stopped at a diner for food on the way back! Yum!! Just what I needed. I got home and rested up for my first day of junior year the next day. I ended my summer break with a bang! Now, I am starting to focus on Varsity Tennis Team and schoolwork…. There is always time for training on the weekends!! Have you ever had a really hard swim? How have your first days back at school been?